Most news and magazine style websites use 3-Column WordPress themes because of its fluid and functional layout design. Three-column WordPress themes are carefully crafted to provide a rock-solid and serviceable template for news and magazine blogs/websites. A lot of bloggers and website owners opt for 3-Column themes because of its ability to place numerous sidebars on both sides of your website. This functionality is essential especially if you have a lot of indispensable sidebars to place on your website. The 3-Column theme helps you avoid extending your content horizontally. It also allows you to create a symmetrically balanced design in your website, making your site look pleasing and engaging. Its layout structure allows you to monetize your site by providing more space for ads, subscription buttons and other important sidebar content that you need to put on view where visitors could easily see them. Three-column themes can also be very practical if you have a lot of content to present on your website. Here’s a collection of 3-column WordPress themes perfect for your news or magazine style website. Aside from the 3-column template, most of the themes included in this list come with the full-screen header image and other useful theme features and customization options that are necessary for building an engaging magazine-style website. 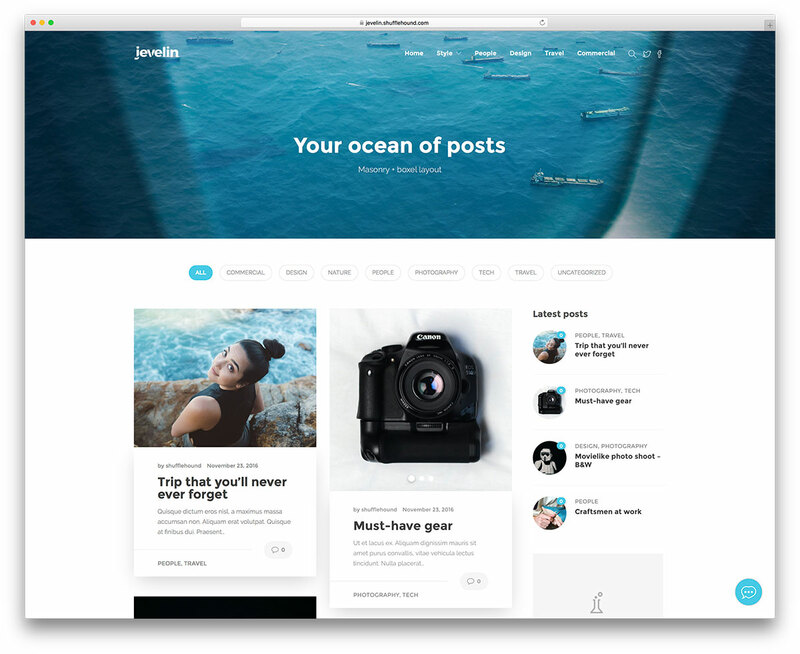 Jevelin is a modern and imaginative, speedy and responsive WordPress premium multipurpose website theme. It is a framework for the uncomplicated creation of functional websites within minutes. And requiring absolutely no coding! With Jevelin, you get access to a wealth of demo websites with tons of stuff. These include sliders, menus, headers and footers, inner content pages and everything else you need to get your website going. You also get an awesome drag and drop page builder, so you can customize anything within your pages; from layouts and modules to elements, shortcodes and more. That’s why Jevelin can so readily tackle a variety of projects. Jevelin is the way to get stunning results, and it is no wonder. Hundreds of customization possibilities await you within a powerful admin panel. Over 40 custom, in-house developed shortcodes come with the package for every occasion. It covers anything from product lightboxes to pricing plans and far beyond; not to mention 10 different portfolio layouts and 6 different blog layouts. Or the over 40 element animation styles and a wealth of Parallax visual effects to play with. Jevelin is ready to take your website to the next level! Uncode has the right set of tools and features to satisfy a range of necessities across all fields of interest. 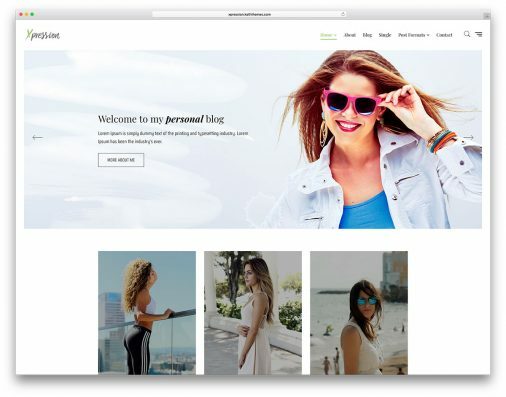 This theme is a capable platform for the development of blogs and photography gallery websites, just as much as it shines as a commercial business website, an online store, or a riveting news blog. Mobile and app developers are fond of Uncode’s gorgeous iLightbox premium plugin, as well as its slider capabilities. It is powered by the LayerSlider and Revolution Slider, which, coupled with Adaptive Images technology, makes Uncode surprisingly appealing to look at and wonderfully mobile friendly. Uncode is built on a sharp and responsive modular Bootstrap design, making it seamlessly flexible and perfectly rendered across all devices and browsers in high resolution, sharp, Retina-ready colors. 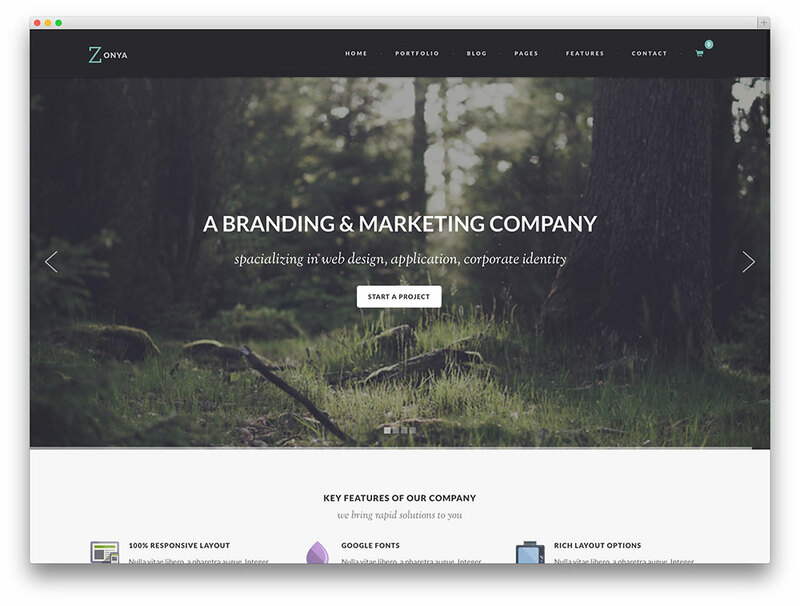 Uncode includes six different menu styles for all kinds of websites and a ton of beautiful portfolio templates to show off your products or services. Try Uncode now, and never look back! Severn is an amazing theme in both its reach and its simplicity. It is the result of a conceptualized approach to website design and construction, aiming towards pliable multifunctionality and minimalist efficiency in equal measure. It was conceived as a multicolumn theme as a way to tackle a multitude of website archetypes and applications in stylistically diverse ways. 3 column websites in particular are Severn’s most flexible presentation, as the format lends itself to Severn’s modular approach, and the multiplicity of sidebar options and choices in either or both sides of the screen make for a veritably shape-shifting theme that can adapt itself to the most dissonant of scenarios with unparalleled ease. Switching from dark and light skins is as simple as flicking a switch. You’ll find that making your own website does not get much more complicated than this! The Frog comes with a simple, vibrant and welcoming that instantly attracts visitors. This 3-column theme comes with an easy setup .xml file. So if you are satisfied with our demo site, you can use them for your website simply by importing the sample data to your site. The Frog comes with a fully responsive layout that enables you to reach out to a wider range of audience. The masonry and grid layouts make your website look well-organized and stylish. This theme also includes custom widgets for top articles in last 30 days, frequently used tags, posts by categories, recent posts, popular posts, Feedburner subscribe button, latest reviews, random reviews, popular reviews, custom banner 300px and categories in 2 columns. The Frog also features Fly-Out Navigation for mobile and tablets, which create a nice three-lined menu button that users can click to bring a slide out menu. It offers several blog options and unlimited images for the gallery slider format with drag and drop functionality. It comes with Live Search functionality that provides people intuitive search results before they even finish their query. The Frog also includes description for every Category in your news website to make it easier for your visitors to find what they are looking for. This theme also uses Multi-column Tag Map and Categories Map, unlimited sidebars and includes .po & .mo files for easy translation. Furthermore, The Frog is fully integrated with Taqyeem Ratings and Reviews plugin, which is built for incorporating exquisite ratings and reviews to your posts, pages, and custom post types. 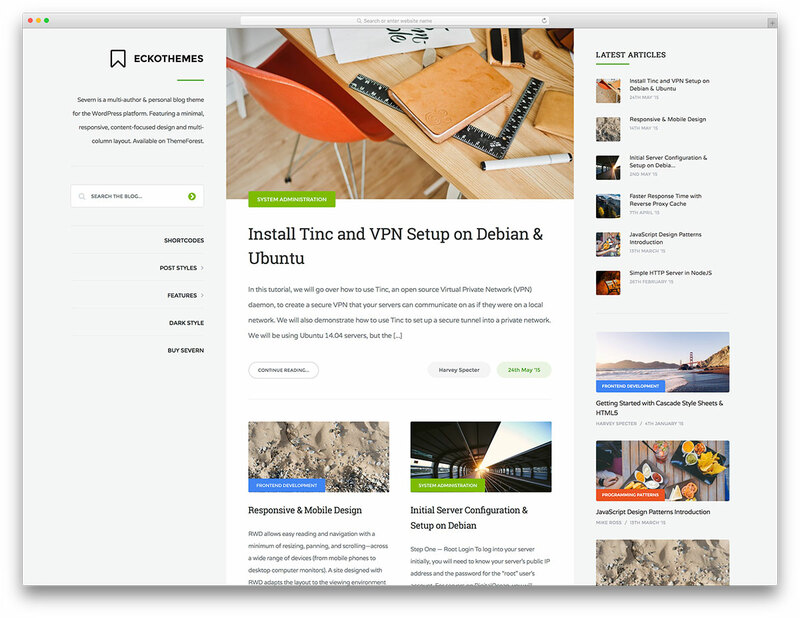 Multinews is a beautiful and versatile 3-column WordPress theme with unlimited sidebars, perfect for building news and magazine-like websites. Every single element in this theme is scalable and can adapt on any screen resolution. It comes with pixel-perfect graphic elements that make your website look really awesome. 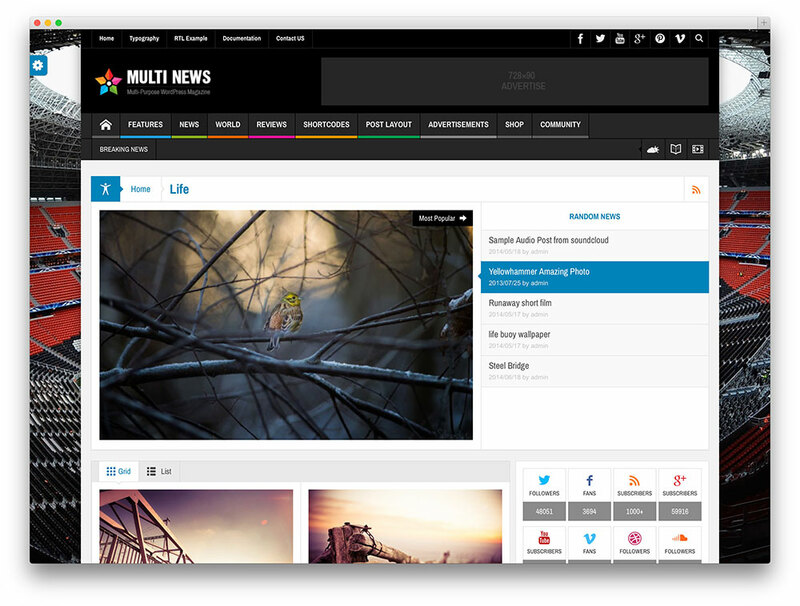 Multinews comes with Mega Menu navigation, Review system with user rating, and WordPress premium drag and drop visual composer page builder plugins. It also comes with an Ajax Live search and advanced news modules. It has an efficient advertising system that enables you to manage your advertisement on your WordPress site. Moreover, this flexible 3-column theme includes astounding features such as flipping magazine layout, WooCommerce integration, beautiful weather page and fully compatible with bbForum and BuddyPress social WordPress plugins. Genie is a smart and reliable all-inclusive toolkit for webmasters looking for a simple solution to putting together their own customized personal blog websites. This theme has Advanced Theme Options available through the WordPress Customizer, which lets you switch between various attractive grid layouts with powerful grid and masonry options powered by flawless AJAX technologies. Genie is so smart, you won’t even realize all the heavy lifting going on behind the scenes as you set up your own gorgeous 3 column grid blog, with filterable post results by category or by date, live sorting capabilities and so much more it’d make your head spin, all wrapped up into a neat, user-friendly little package where you don’t even need to code a single line yourself. Try Genie today! 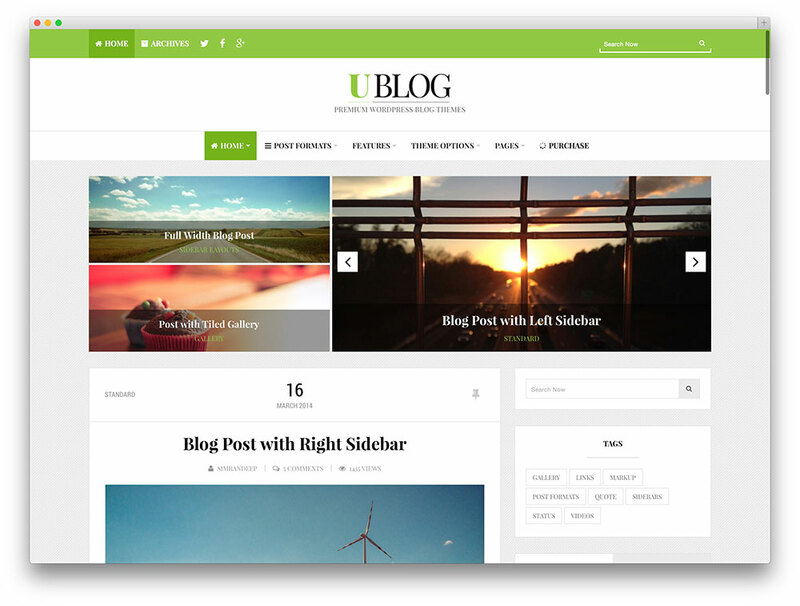 Ublog is a clean and minimalist 3-column WordPress theme for bloggers. This theme is 100% responsive and retina ready, which makes your website outstanding when viewed on different kinds of mobile devices. This fresh and trendy theme is powered by advanced Redux framework that includes clear and comprehensible customization options, which enables you to personalize your theme’s colors, fonts, and other theme customization with ease. It comes with 3 stunning header styles to help you pick the best one for your website. The theme also includes 8 blog layouts, 8 post formats, full width & boxed layout, sticky menu, featured posts with slider, Facebook like box, custom CSS option, custom 404 page and other various custom widgets. 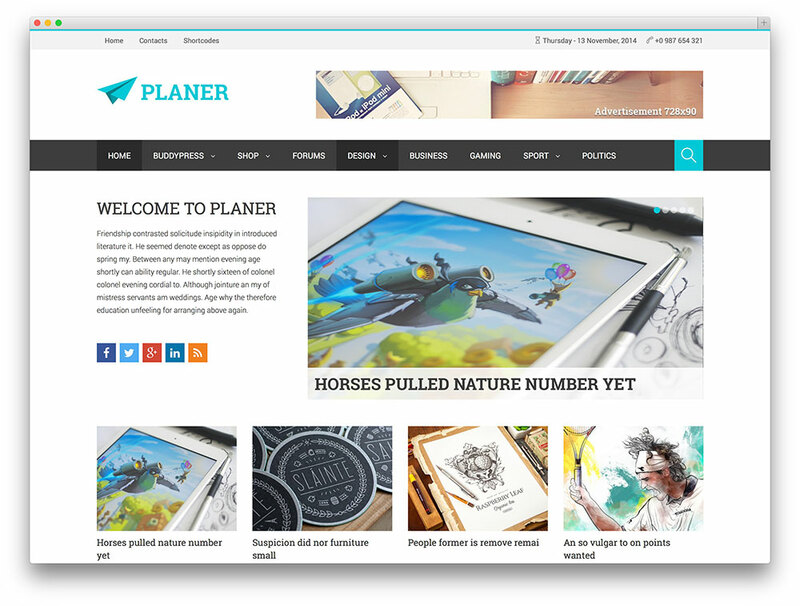 Planer is a clean and stylish theme suitable for creating interactive news, newspaper, magazines and social websites. This theme is built with a fully responsive theme layout that works fittingly on any types of mobile devices. 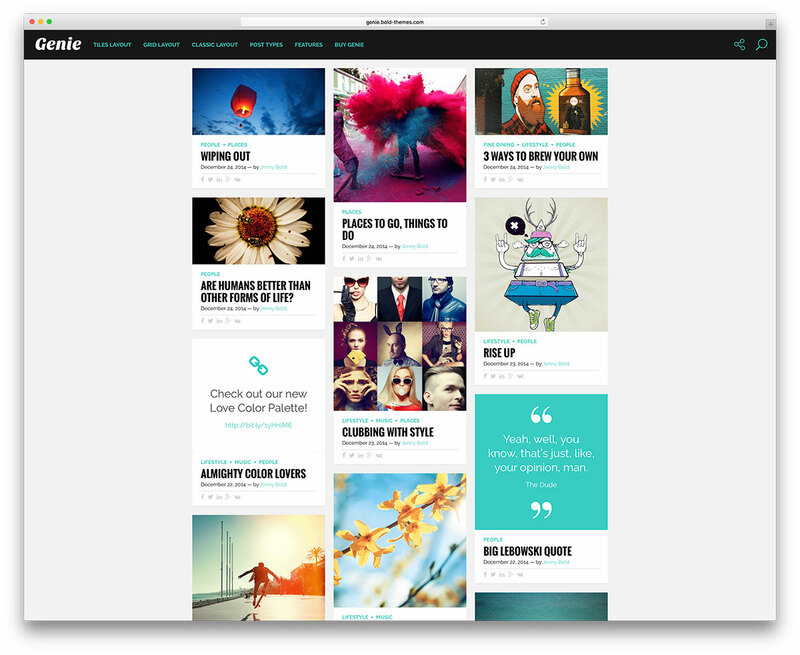 The 3-column grid features enables you to produce as many content as you want. It comes with an amazing admin panel that enables you to customize your site with ease. It also features a powerful slider that allows you to display content in a presentable and tasteful way. In addition, the theme comes with SEO optimization, and is compatible with WooCommerce,BuddyPress and bbPress plugins. It also allows you to monetize your website with its responsive Adsense manager. 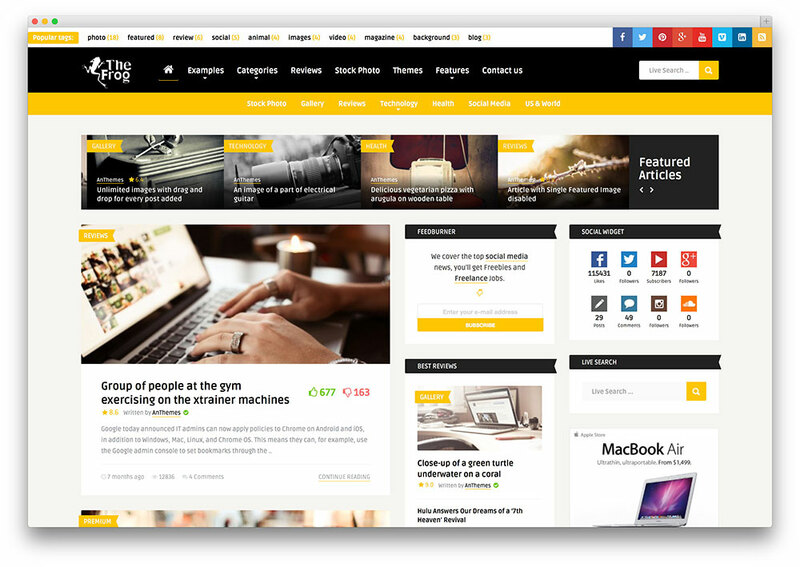 BuzzBlog is a smooth and clean personal WordPress blog theme. This theme is extremely responsive and works well on any type of mobile device. This sophisticated and stylish theme is suitable for any type of blog that necessitates a touch of femininity. It is totally responsive and comes with loads of amazing theme features. This theme comes with useful features like custom fonts, custom layouts, SEO friendly framework and more. 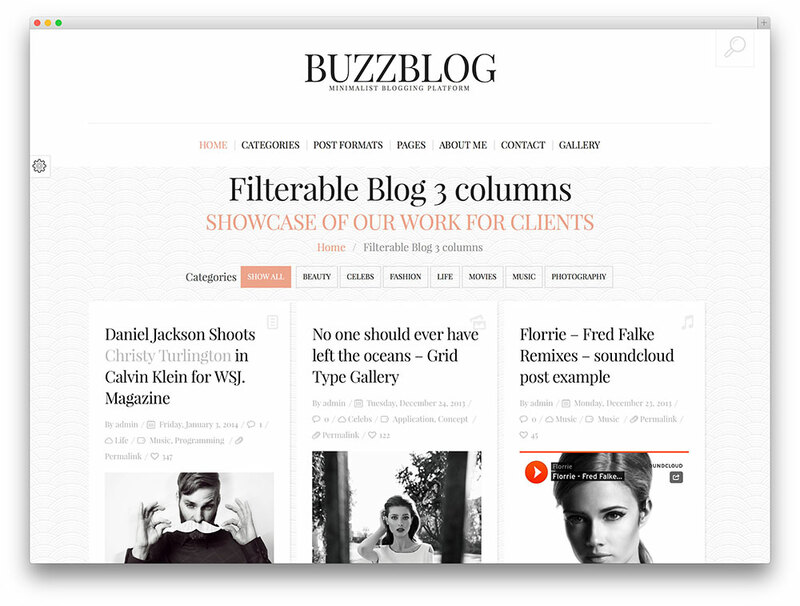 BuzzBlog helps you make a buzz online in an elegant way. 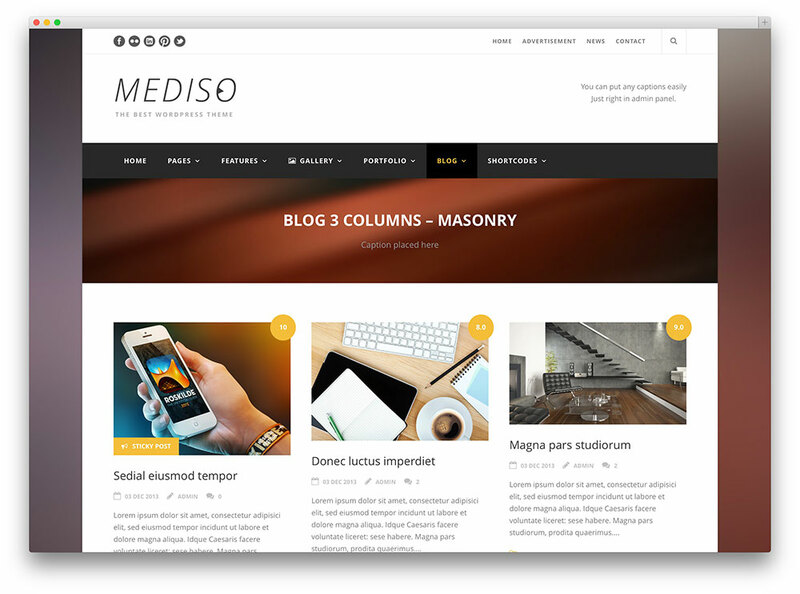 Mediso is a 3-in-1 fully responsive theme that works on all major browsers and screen resolutions. 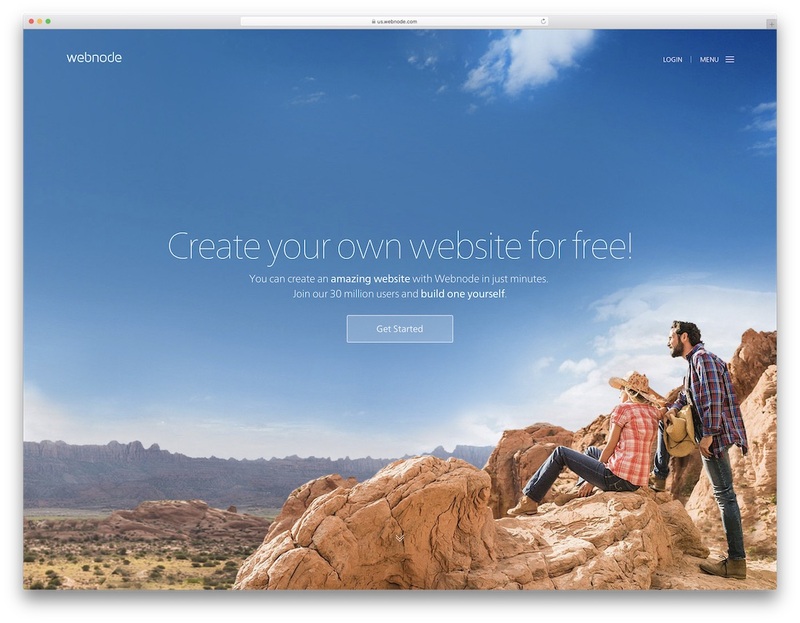 It comes with a very powerful yet easy-to-use theme customizer. This offers infinite customization options that allow you to take control of the logo image, fonts and colors as well as the fixed sidebar. 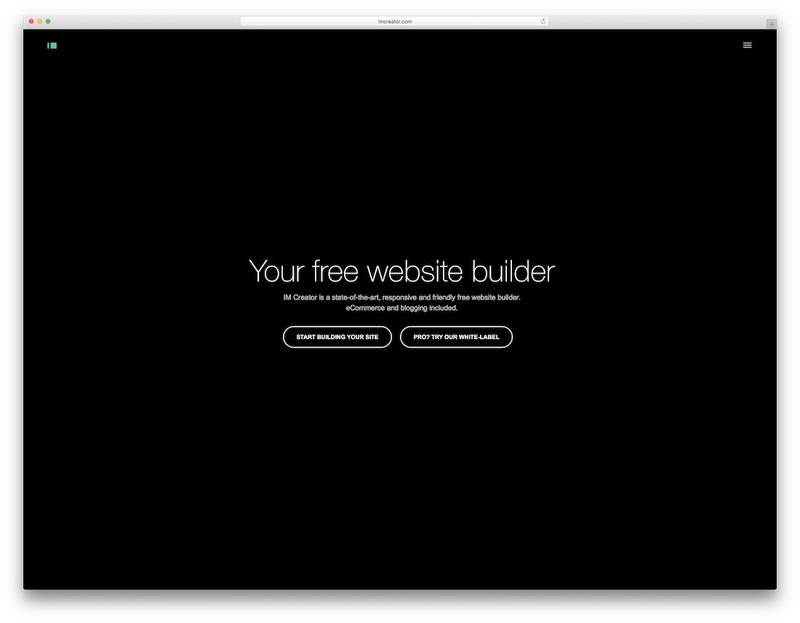 Mediso also comes with a powerful page builder that allows you to build unlimited pages in an instant. This theme also includes a smooth parallax background. Mediso offers unlimited color and font options, floating navigation, built-in mega menu, boxed/full width layout, unlimited sidebars, 4 portfolio styles and 4 blog styles. It also supports multiple post formats and WooCommerce plugin. 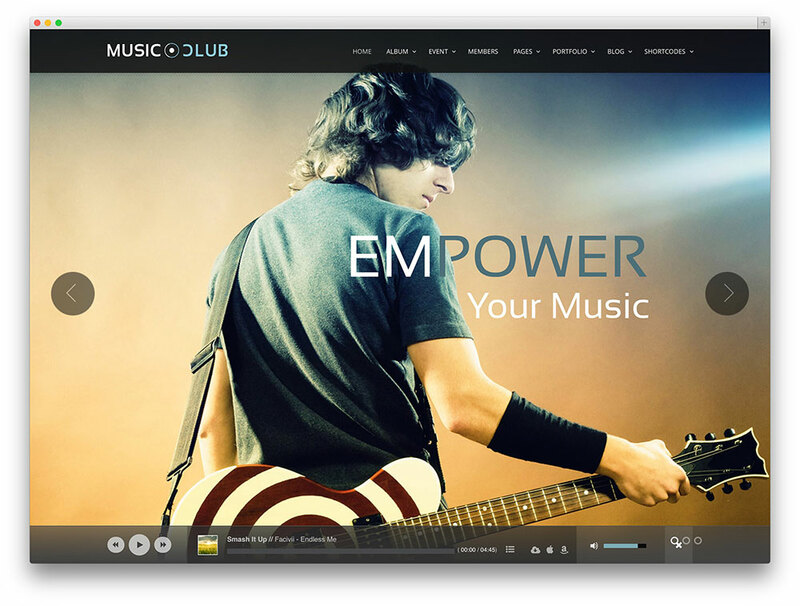 Music Club is a unique and modern theme ideal for music, club, party, radio station, bands or even entertainment magazine. 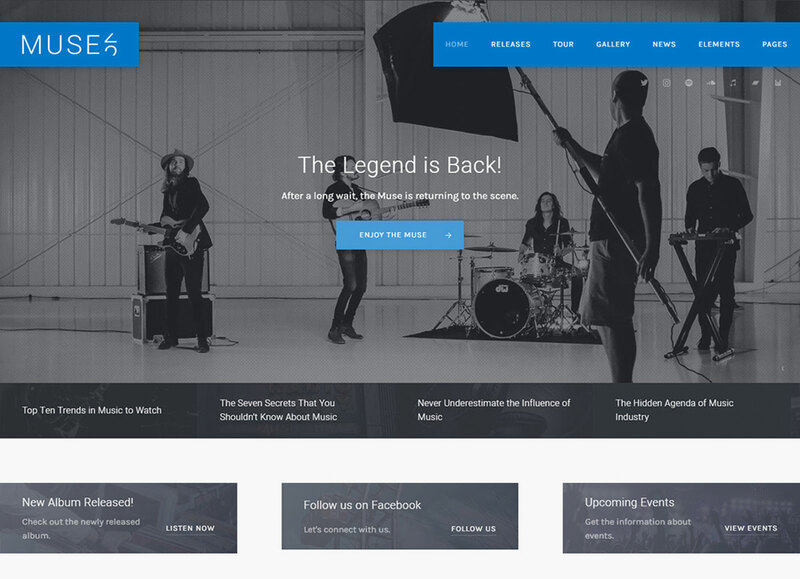 It has all the necessary features you will need to create a striking and engaging music events website. It comes with a floating music player at the bottom of the page, traditional boxed player, event post type that comes with ticket button with 5 tickets status, powerful page builder, 3 different event list style and GoodLayers importer. This theme also includes unique promotional features such as Revolution Slider, Music Album with 2 different Album list style (+ carousel) and song download button + Apple purchase button + Amazon purchase button for each song. 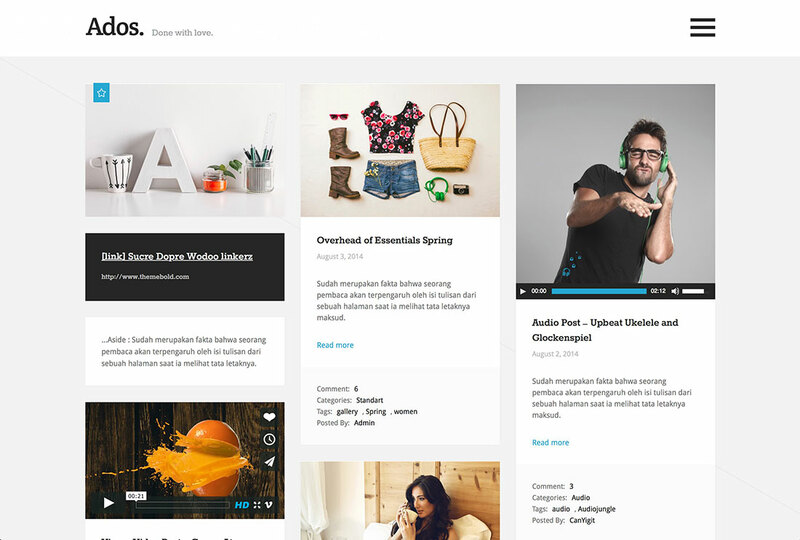 OXY is a stylish and fully responsive multi-use WooCommerce WordPress theme. It is built on Foundation Framework by Zurb, which provides a suitable framework for any kind of online shopping sites. This theme is very easy to install and customize. It comes with an incredible admin panel that allows you to do tremendous theme customizations. Its Live Customizer, on the other hand, allows you to preview changes that you made before saving theme. Furthermore, the theme comes with Slider Revolution integration, is fully compatible with WooCommerce plugin, plus other features suitable for building an eCommerce site. To conclude, OXY is the perfect solution for your online business. 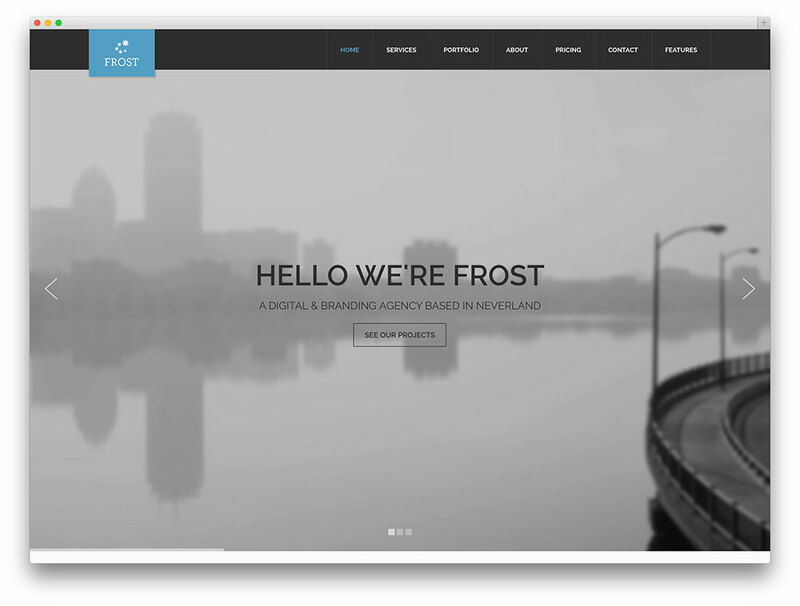 Frost is a multipurpose one page & multi-page WordPress theme ideal for any kind of business owner that would like to show off their portfolio online. This theme is fully responsive and comes with retina-ready graphics and icons. Its sound framework design is based on the latest Bootstrap 3 for better mobile and smartphone support. This theme is also well-documented and written with clean valid HTML5 and CSS3 code. It also includes stunning parallax effects, Ebor Page Builder, 4 different blog layouts, shortcodes, custom Image Cropping, Revolution Slider, custom logos, unlimited color schemes and font options, built-in social sharing buttons and many more. The theme also supports multiple post formats, Gravity forms & Contact Form 7, WPML plugin, etc. Suitable for all tastes and styles, Linx is here to provide you with awesomeness. 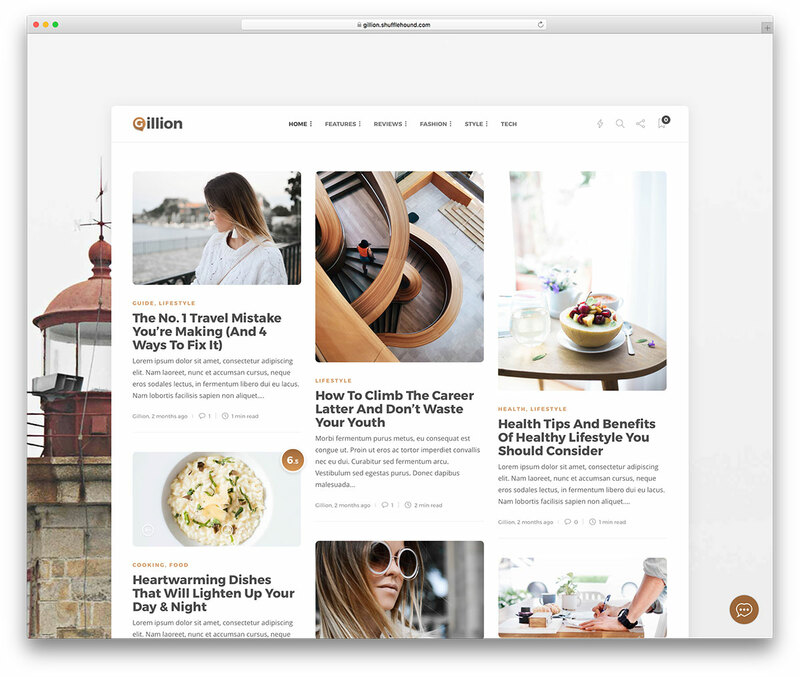 This three column WordPress theme is very flexible and adaptable, catering to fashion, food, travel, lifestyle, photography, magazine and virtually everything under the sun. 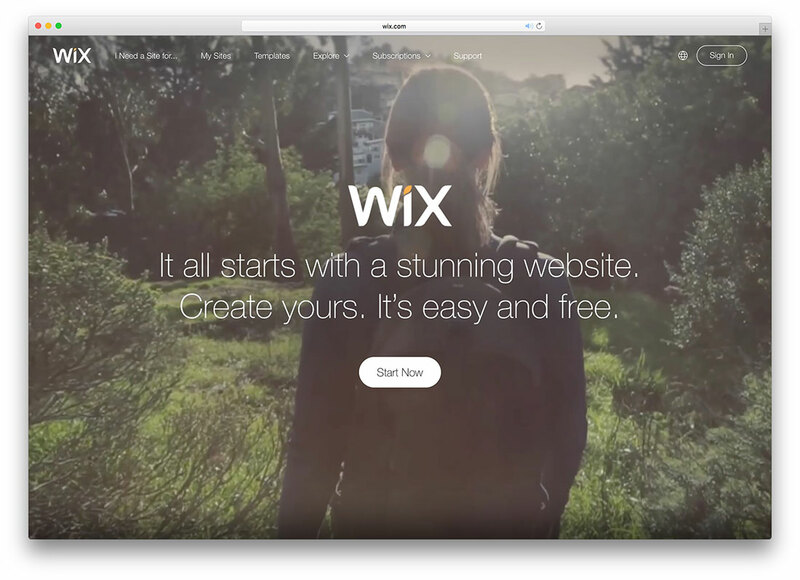 Linx includes jaw-dropping layout variations, color branding, post views and likes, contact form, parallax effect, gallery, pagination styles, Instagram feed and more. It offers an elegant web design that will surely be loved by everyone. What’s more, Linx is compatible with all your mobile devices, desktop computers and tablets, as well as web browsers. The latest version has Gutenberg support as well for everyone who keeps with the trends. Linx has an assortment of different demos, dark and light layouts, custom made widgets and dynamic image resizing. Whatever type of website you plan to craft with Linx, the outcome will be a genuine masterpiece. Zonya is a clean, modern and multipurpose theme especially suitable for creating professional blogs, portfolios, and websites. Its solid framework is based on the hottest Bootstrap 3 for better mobile and smartphone support. 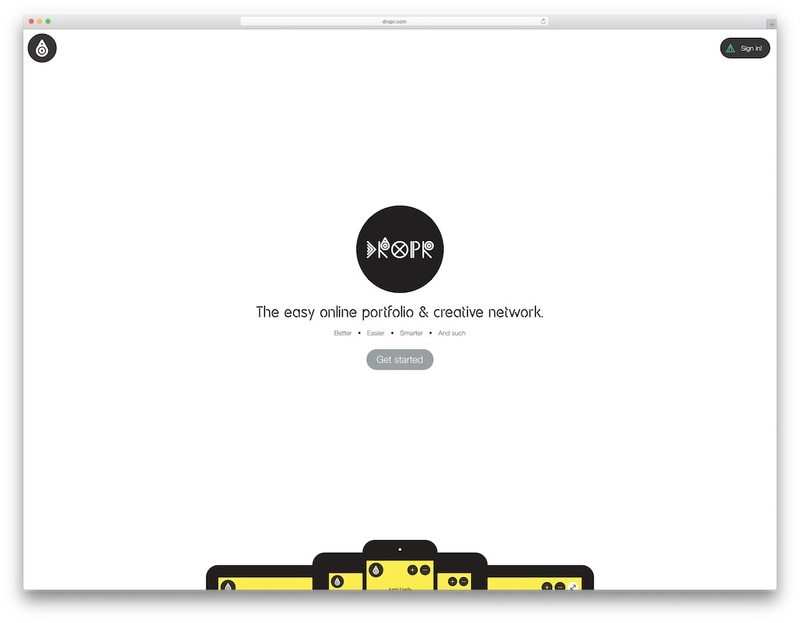 Zonya is fully responsive and compatible with any device such as smartphones, tablets or desktop computers. It also offers 8 header styles to choose from, unlimited color and font options, boxed & full-width layout, Gravity forms & contact form 7, powerful Ebor page builder and integrated with Ebor mega menu plugin. The theme also supports WooCommerce shopping plugin & custom image cropping, and features Slider Revolution that enables you to create eye-catching sliders without putting forth much effort. Thank you very much for this outstanding collection! It is very interesting and it will help me a lot in future. Here you can find a lot of WordPress themes from the same topic that you could use in your future projects to satisfy your clients. It is nice to see you again! I cannot submit any post on the travelify support forum can you tell me what is wrong. Don’t use any shady links when you are posting on forum and you should be fine. If you tried too many times you might be banned permanently by Akismet but your messages will appear eventually but after manual review but it might take weeks. 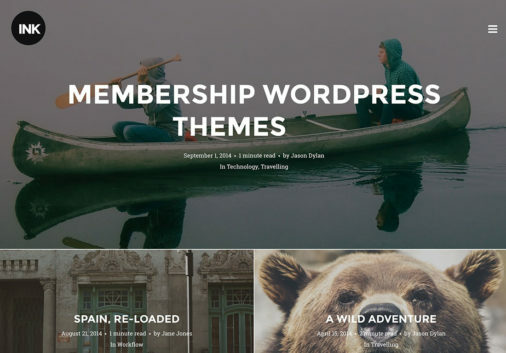 Most of above listed themes does exactly that but all these are premium WordPress themes. If free themes is what you are after you might want to check this collection instead. Let me know if you have some more specific requirements in mind and I will try to help you from there. How did you choose those themes for this collection? Have you aready try those before? I haven’t used all of those themes but a lot of theme I have therefore I can provide with some recommendations. Sometimes it is easy to understand how theme will work based on description alone. For example if it uses WordPress Customizer, Slider Revolution, Visual Composer, Redux Theme Options and that sort of thing. There are loads of similarities between themes and I am more concentrating on differences that makes them special. I like to advertise my WordPress Theme in your site. What is the procedure. I don’t see any WordPress themes in your TF profile. Are there any in the works?